Article original appeared on 365 Atlanta Family. Hidden treasures are the best part of traveling, and the small towns in Georgia are riddled with secret finds. Whether it’s a small town near Atlanta, Ga. or one of the quaint towns in Georgia within driving distance of the city, you’ll find unique shops, world class dining, history, outdoor adventure, as well as museums and culture. Here are 13 of the best small towns in Georgia to visit this year. 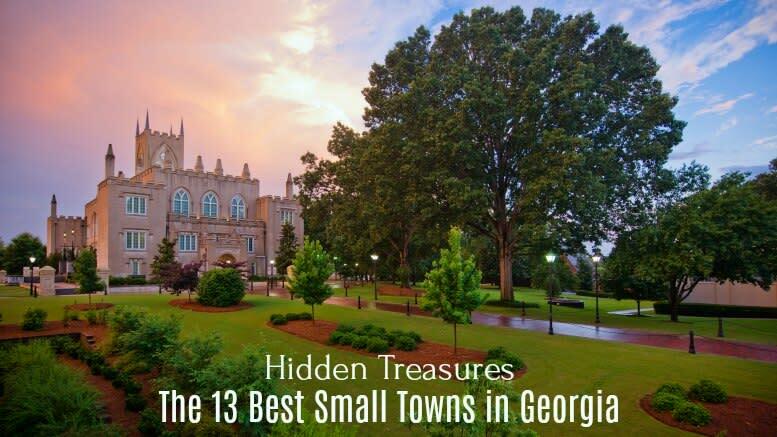 Remarkable Small Towns Near Atlanta, Ga.
Milledgeville. This unassuming Southern dame less than two hours South of Atlanta has been called one of Georgia’s prettiest small towns by Southern Living Magazine.